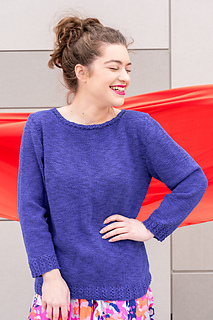 The Body of this sweater is knit in one piece from the bottom up. 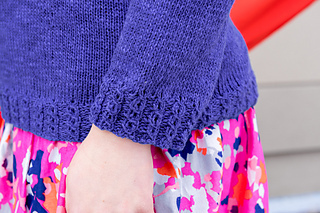 The Sleeves are knit separately and sewn in place. We have photographed this sweater and written the pattern with the buttons at the back, but if a standard V-neck cardigan is more your style, the sweater is just as pretty with the buttons to the front. 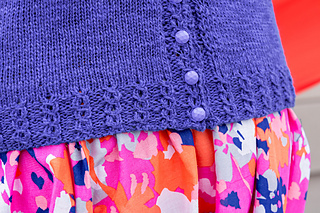 The stitch count within the Eyelet Rib Pattern changes from row to row. Stitches are decreased in Row 1, then added back in Row 2. Count sts after Rows 2, 3 or 4 only.